My Love Thursday is our little Chihuahua mix Buddy. 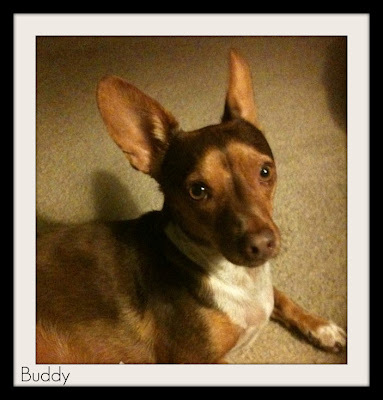 I found Buddy roaming our streets one morning and took him home. We tried to find his owners by hanging up signs and going door to door but no luck. Because I wanted his owners to have a chance to find him, I sadly took him to animal control since that would probably be one of the first place they would look for him. Our animal control is required to hold animals for 72 hours to give owners a chance to find them. After 72 hours, they are put up for adoption. No one claimed him so I went back early on the morning of his adoption day and got him. Our best guess is that someone just thought that this was a nice neighborhood and dumped him off on the street corner. Well, Buddy has been one of the best things that has ever happened to us. We have had several dogs before and have raised them from puppies until they passed away from old age but this little guy just holds a special place in our hearts! We take him on vacation with us whenever we can, he sleeps in our bed and we took him to obedience school, etc.....you get the picture. 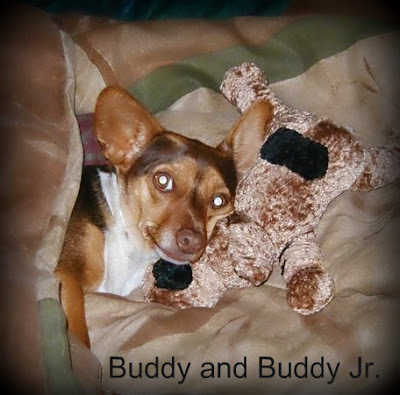 Buddy and his favorite stuffed animal Buddy Jr. Unfortunately, he loves his stuffed animals to death because eventually, they get torn apart and their stuffing winds up all over the house! Buddy looking stoic! Say Cheese! Wow! It has been a long time since I have been on here! Honestly, a month ago I thought that I would never blog again. Actually, I thought about leaving SL for good. As you can see, I got over all of that. I mean...I just couldn't disappoint the two readers that I have now..could I? LOL! So, I have been through some changes in SL. One of the things that has changed is that I just don't get on as much. I still get on and I still have fun but I don't feel like my RL has to revolve around my SL and I don't get those "I haven't been on SL today!!" withdrawals like I used to! Whew! Balance has returned to my life! 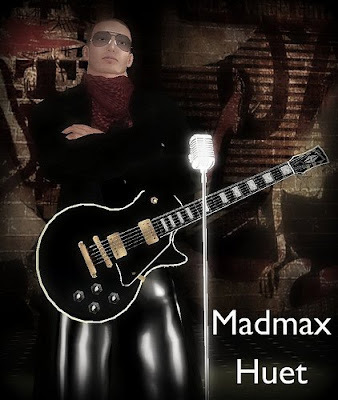 One of the new artists that I like to see alot is Madmax Huet. He is a blues guitarist that does his own stuff and it is amazing! If you check out his group Maximum Blues, you will see he has been playing electric blues guitar and blues harp with some blues jazz thrown in. He's been playing since he was 12 years old and performs live in London clubs and bars. He plays a regular Saturday gig at Not Too Hot http://slurl.com/secondlife/Not%20Too%20Hot/26/236/24 at 1 pm SLT. I took the picture of him below one night at one of his gigs. He looks rather stoic, don't you think?